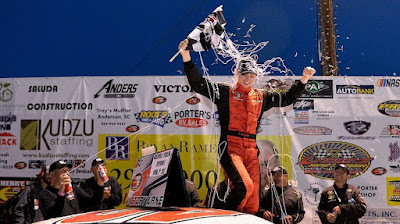 Kyle Benjamin who just signed a four-race NASCAR XFINITY deal with Joe Gibbs Racing, capitalized on a late-race restart to win the Kevin Whitaker Chevrolet 150 at Greenville (S.C.) Pickens Speedway on Saturday night. Benjamin started on the pole after running a track record lap of 19.144 seconds at 94.024 mph. The Easley, South Carolina, native ran inside the top-five nearly all night long and led 46 laps. 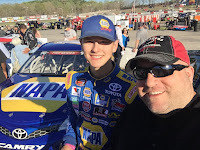 Todd Gilliland, who is competing in both the K&N Pro Series East and West, drove his #16 NAPA AUTO PARTS Toyota Camry to a third-place finish. 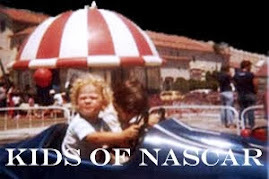 After initially slipping back a position from his seventh-place starting spot, Gilliland started working his way toward the lead. In his first trip to the historic half-mile oval, Todd was in the top-five by lap thirty-three (33) and up to second just before the midway break of the race. 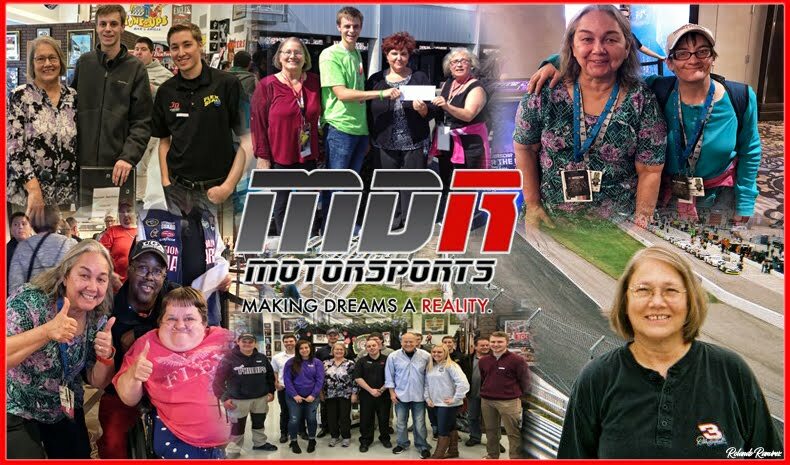 The Greenville Pickens event is slated to be televised on NBCSN on April 15 at 9 p.m. ET. 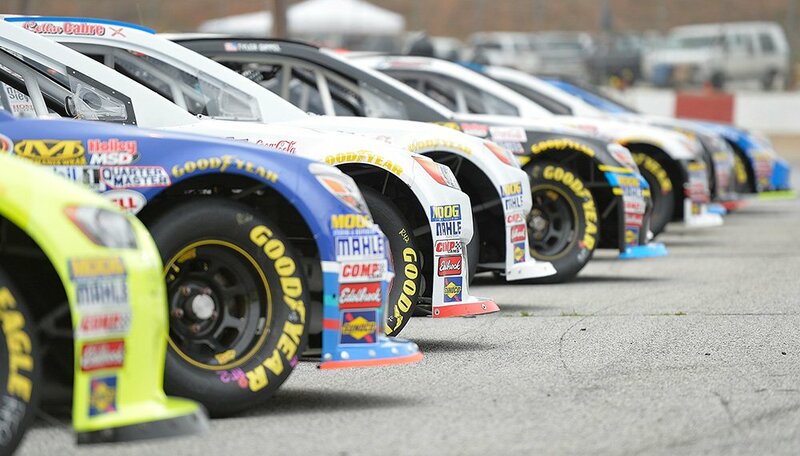 It was the second event on a fourteen-race schedule this year and marked the seventeenth visit by the series to the South Carolina track. 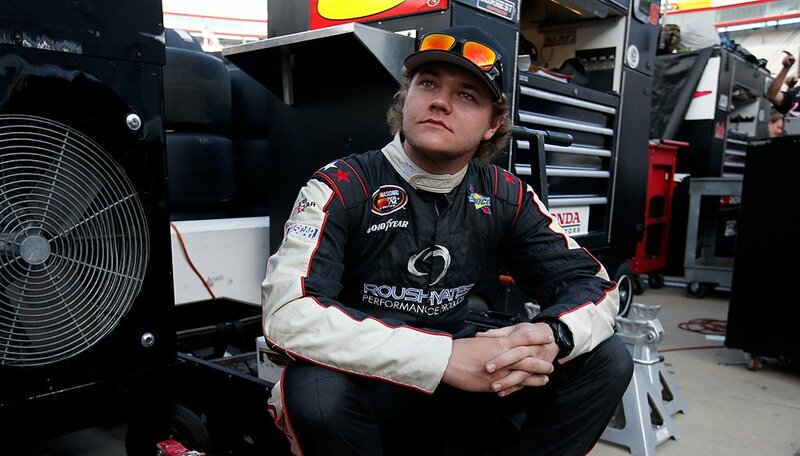 Total Laps Led: Dillon Bassett 104; Kyle Benjamin 46 / 4 changes involving 2 drivers. 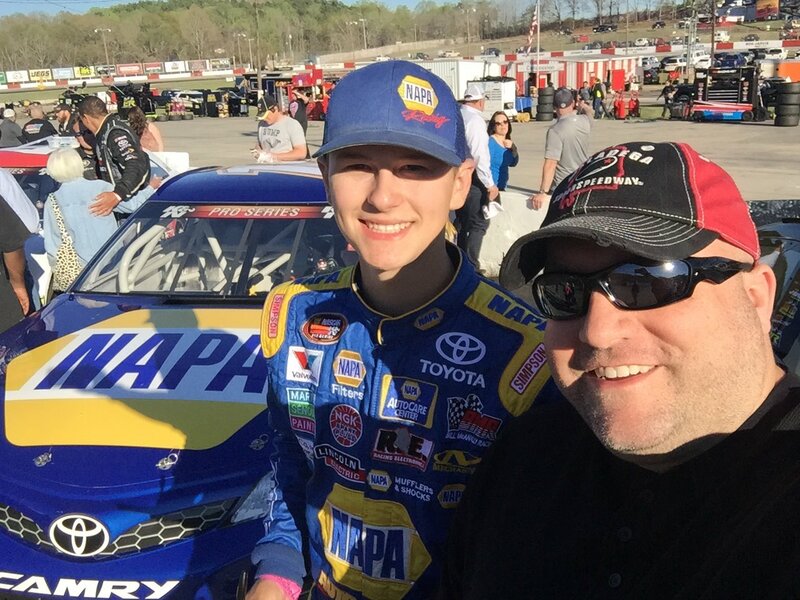 The next event on the K&N Pro Series East schedule will be the Zombie Auto 125 on the high-banked half-mile of Tennessee’s Bristol Motor Speedway on April 22.